Reports of people rejecting political authority, assaulting it with words and often violent acts, are actions that are part of modern life. Anarchism has been considered a dead movement of the nineteenth and early twentieth century, but it assumed a renewed and substantial relevance in the late twentieth century. Robert Hoffman points out in his incisive Introduction that anarchists have always been viewed either as foolish idealists or, at the other extreme, as serious threats to justice and social tranquility. But, the editor argues, most anarchists have been ordinary people who have shared a singular passion for what they believe to be a just society. To clarify widespread misconceptions about anarchism, this volume offers a lively debate on the subject, consisting of works by both advocates of anarchism and people who take it seriously but reject it. 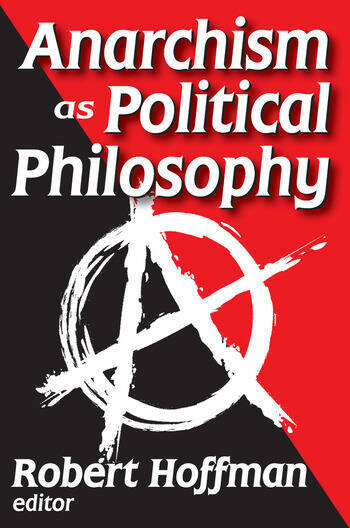 Represented here, in the writings of Pierre-Joseph Proudhon, Leo Tolstoy, George Bernard Shaw, Bertrand Russell, and others, are different types, styles, and periods of anarchist writing, reflecting a rich variety of thought arising from the anarchist perspective. The essays deal with many of the different strands of anarchists, including anarchist attacks on democracy, patriotism, and military conscription, and provide an outline of the movement's tumultuous history. Against these are set pieces that argue anarchism's impossibility and estimate its relevance to social change. The debate format of Anarchism introduces the reader to a fresh perspective and understanding of vital issues of political and social theory, and provokes him to examine his own thinking. Looking at both sides of the controversy, this volume discourages unquestioning or over-confident opinions. Although the anarchist credo that man can live without government is difficult or impossible for most people to accept, as long as we find it difficult to live within the framework of government control, the influence and potential appeal of anarchist thought will continue to be felt.